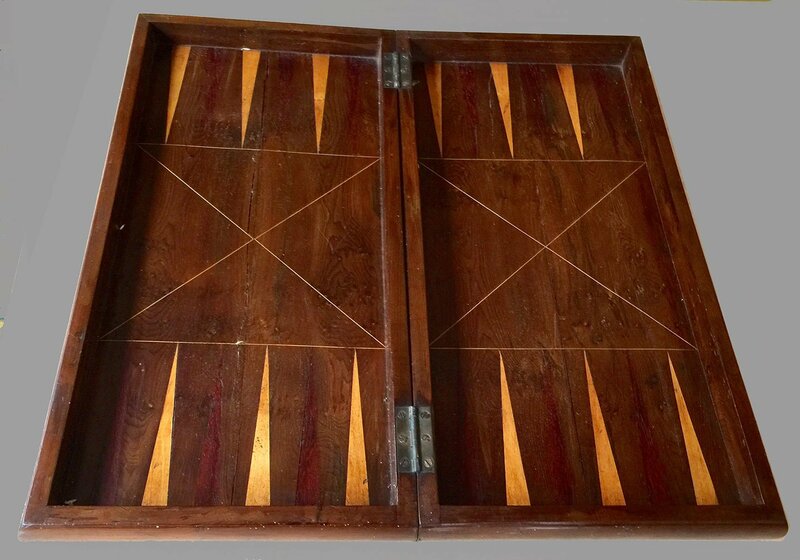 Offered here is an antique Irish Folding Killarney Chess Backgammon Board Box. 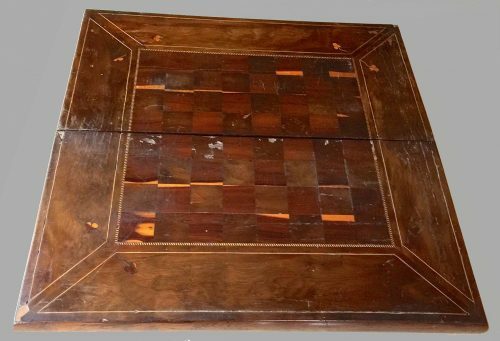 The chessboard squares are Arbutus wood veneer with inlaid shamrock designs and Yew delimiters. The box measures 22-1/2″. The square size is 1-3/4″. This antique game board is in good condition for its age with some minor losses and two longitudinal hairline splits. The light areas seen in the squares is actually the sapwood. 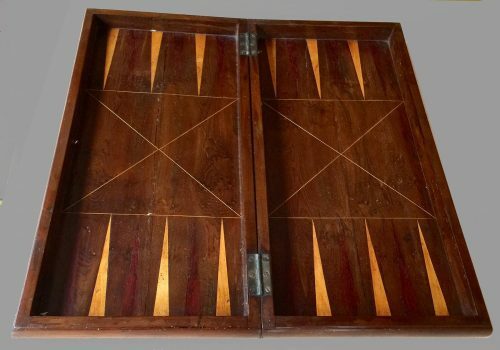 These Irish Killarney Chess and Backgammon board/boxes appear to have been produced in Killarney around 1870. 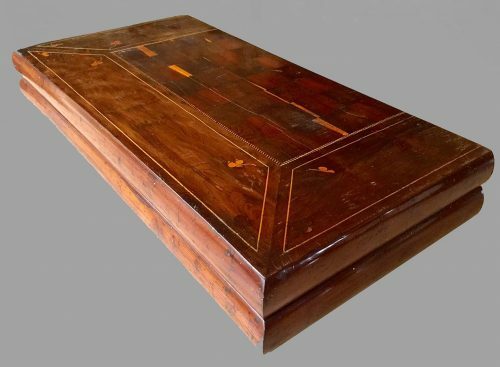 “Killarneyware” is the distinctive style of furniture and works of art produced in Killarney and the Gap of Dunloe during the mid-19th century. The use of Arbutus wood (i.e. the wood of the Strawberry Tree) is typical of Killarney. This close-grained wood had been highly valued for centuries in Ireland.